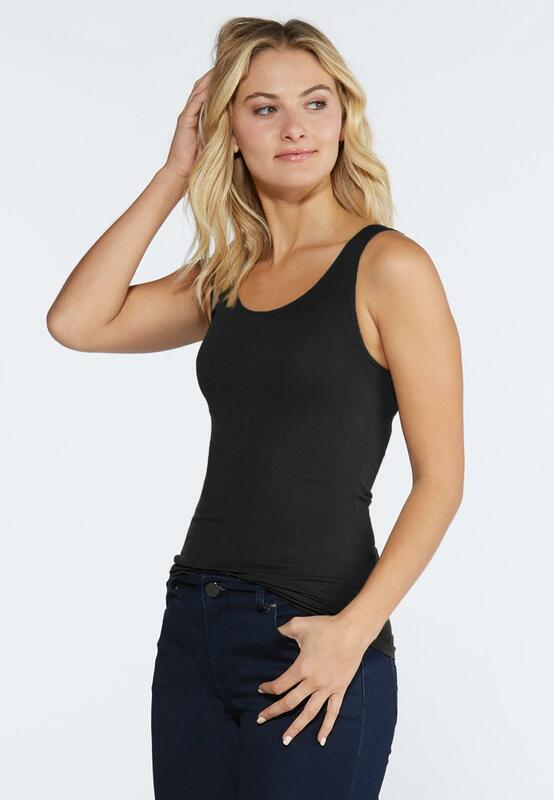 This seamless tank is a versatile must-have. Wear as a layering piece for a pop of color. Im so impressed by the quality of this tank top! It has a higher neckline than most tank tops so no cleavage shows. Excellent for layering or wearing by itself. The material is more like active wear so its cool. I havent had them for long but it seems like they will last a long time! I do recommend considering ordering a size up if you like your tanks a little loose. Im super pleased! I purchased the tank and was disappointed the 26/28 is not made for full bust women. I wish you all could make it a little bit larger. I like the fabric and color. The colors are beautiful, but the material does not give at all. They are very snug. I got my usual size 2x/3x, so I didnt bother to try them on in the store. Boy was I in for a surprise. I was told on returning them to the store, they are being purchased two sizes up in order to get a proper fit.